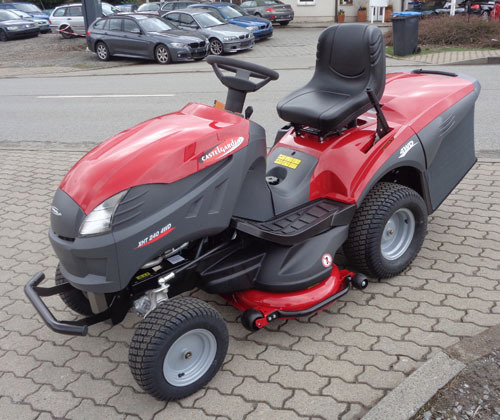 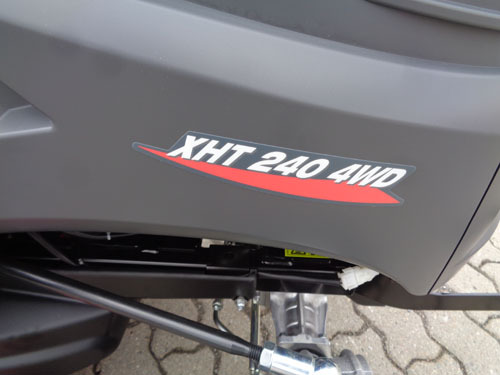 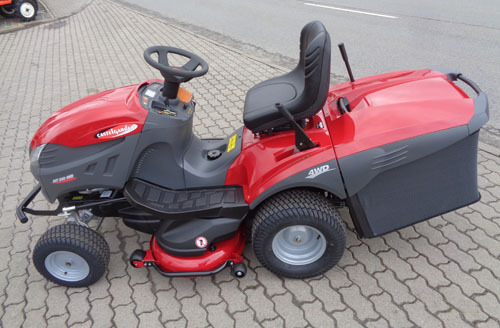 The Lawn Tractor XHT 240 4WD is one of our top models. 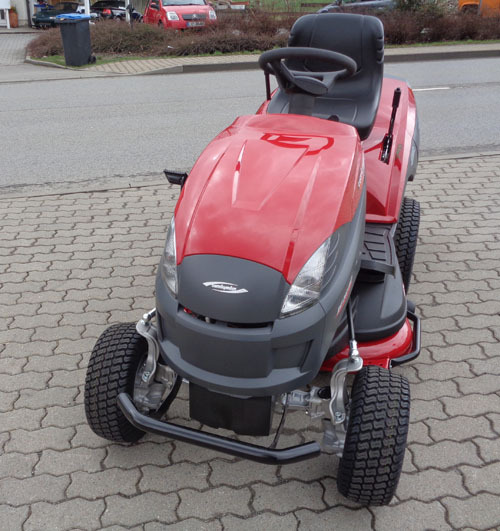 Characteristic of this lawn tractor is the four-wheel drive, with which you can safely work on challenging terrain with gradients. 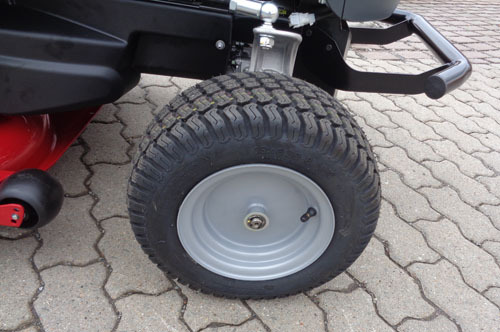 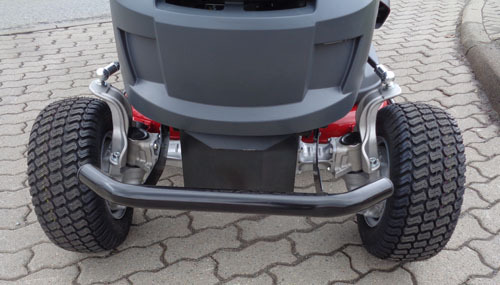 Stop on slopes and continue driving without the wheels spinning and damaging the turf. 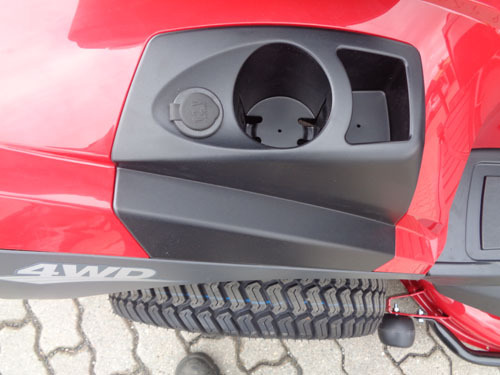 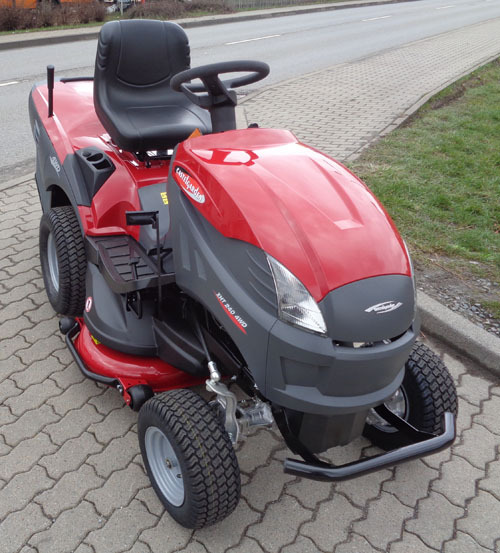 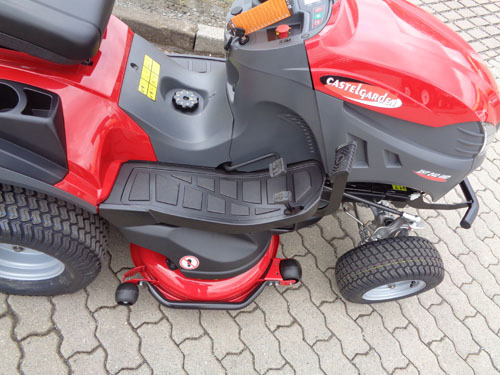 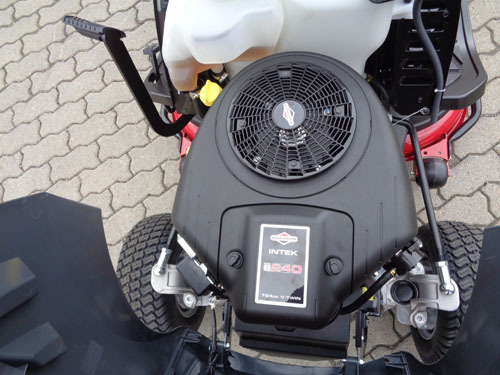 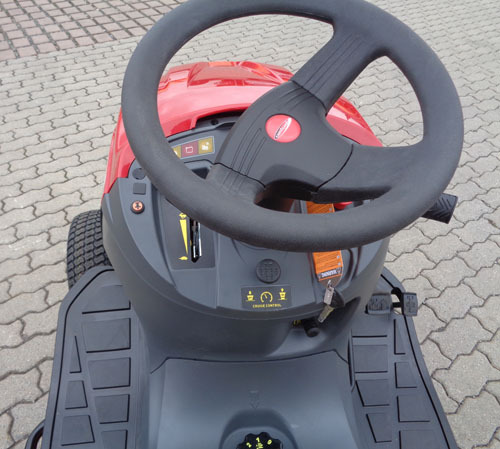 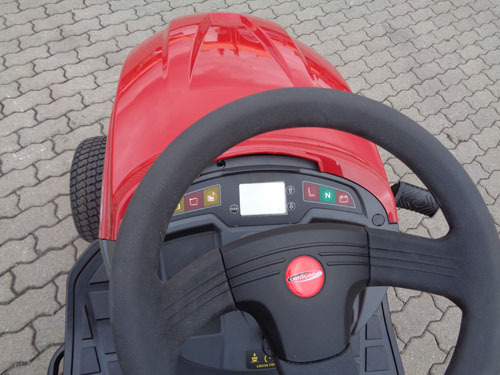 The mower is 102 cm mower wide, the basket holds 360 L, making it one of the largest on the market in its class. 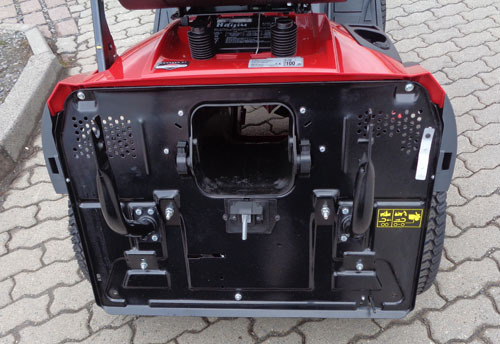 The battery charger for the new stronger 22 Ah starter battery, mulching kit and towing eye are included. 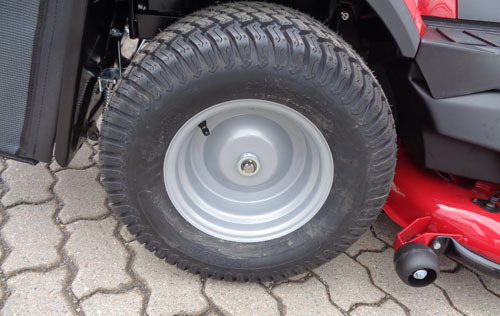 Wheel diameter front: 16 x 6.50-8 "
Wheel diameter rear: 20 x 10.00-8 "